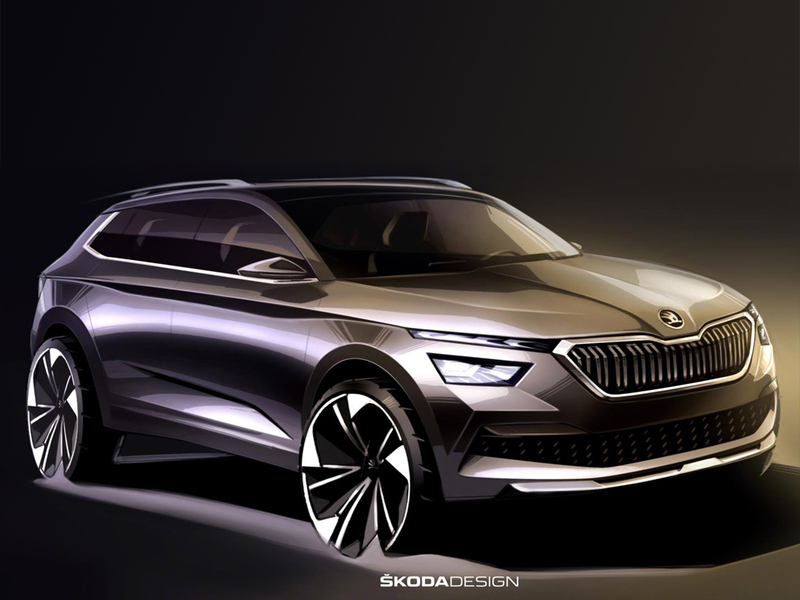 Škoda has published the first sketches of its forthcoming urban crossover just days after it confirmed the new model will be called Kamiq. Set to rival the Nissan Juke and Renault Captur as well as VW Group’s own T-Cross and Arona models, the production model carries over styling references from the Vision X concept shown at last year’s Geneva Motor Show as well as Škoda’s existing SUVs, the Karoq and Kodiaq, which sit above it in the brand’s line-up. It also debuts new Škoda features such as a two-part LED headlamp design and front and rear dynamic indicators and becomes the first SUV to use the Škoda lettering instead of the logo on the tailgate. It will be based on Volkswagen’s modular MQB vehicle architecture that underpins models ranging from the Polo to the T-Cross and Arona, and will offer new assistance systems along with Škoda’s signature Simply Clever features. The Škoda Kamiq will make its world premiere at the Geneva Motor Show in March.